Law enforcement and legal authorities of Ukraine are ready to jointly counteract possible cyberattacks on the Central Election Commission's (CEC) server, the voters' register and other databases during the presidential elections in Ukraine. 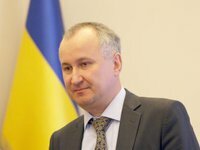 "First of all, based on the tasks of the Security Service, we strengthened the counter-intelligence regime throughout the territory of Ukraine in order to detect early signs of preparation for committing a crime," Vasyl Hrytsak said on the air of the Ukraina TV Channel. He stressed that the Security Service of Ukraine together with the relevant services will make every effort "to ensure the resilience of the CEC information system." "To date, I believe that the "Election" system is quite stable, we are in principle confident in our capabilities, we have good cooperation," the SBU head said. According to him, at the end of February, the CEC server suffered a powerful attack, which was successfully repulsed.